The tower bell resonates through Market Square, marking the hour. Trained ears tune into the bugle that always follows: four rounds of hejnal (“hey-now”) played from the east, west, north and south sides of St. Mary’s Basilica every single day, every single hour, for over 600 years. The hejnal was originally played as a warning to signal residents of a fire or invasion. Legend tells of a watchman who was shot in the neck mid-melody by invading Tartars in the 13th century. In honor of the fallen trumpeter, each round today ends with a sharp staccato, mid-tune. 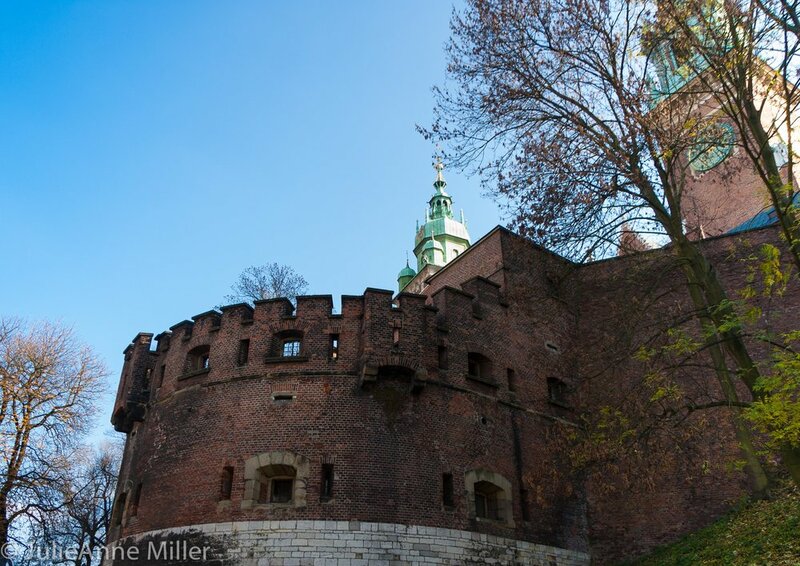 A day in Krakow is like stepping back into a time of kings, dragon-slayers, and knights. 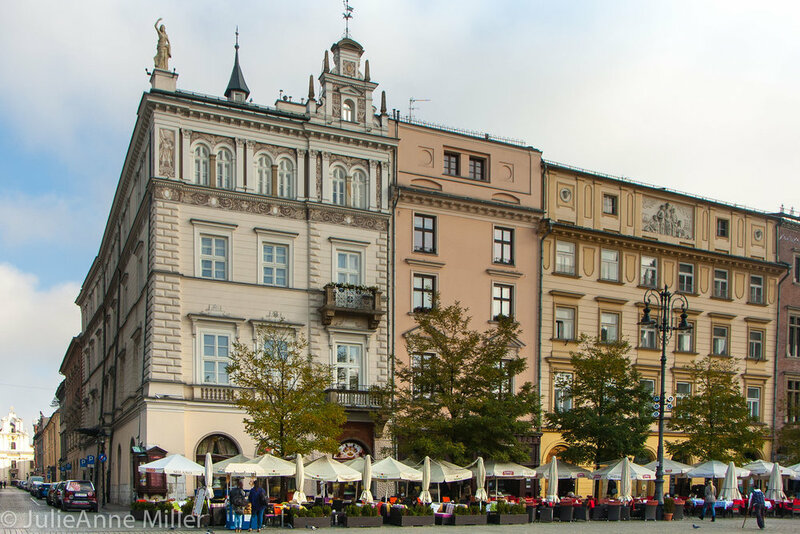 Krakow’s architecture has survived centuries of invasion, even emerging World War II unscathed, as the city was occupied by the Nazi’s in 1939 and became the seat of Germany’s government in Central Europe until the Russian Red Army liberated Krakow in 1945. 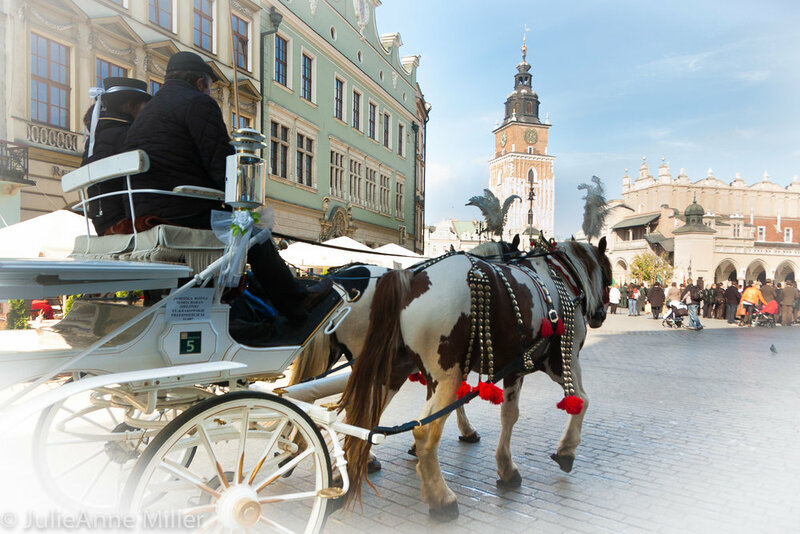 Since medieval days, the Cloth Hall in Market Square (Rynek Glowny) remains the center of commerce, art, history and socializing. 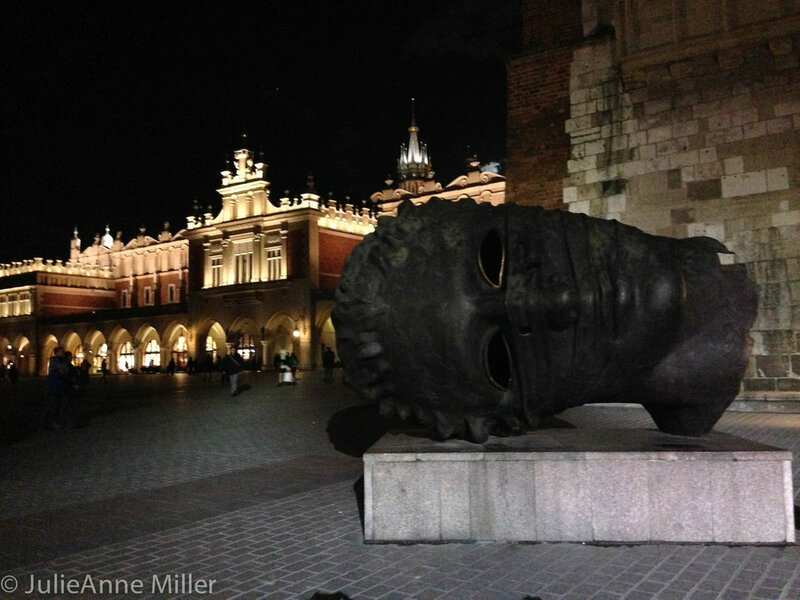 Within this vast complex, visitors can shop for quality souvenirs, view Polish masterpieces in Krakow National Museum, or learn a little history in the underground excavation museum. On the market plaza, mimes, painters, singers, and instrumentalists entertain the crowds. With only two short days to explore, we took a 4-hour guided bicycle tour to hit the major highlights of the city. 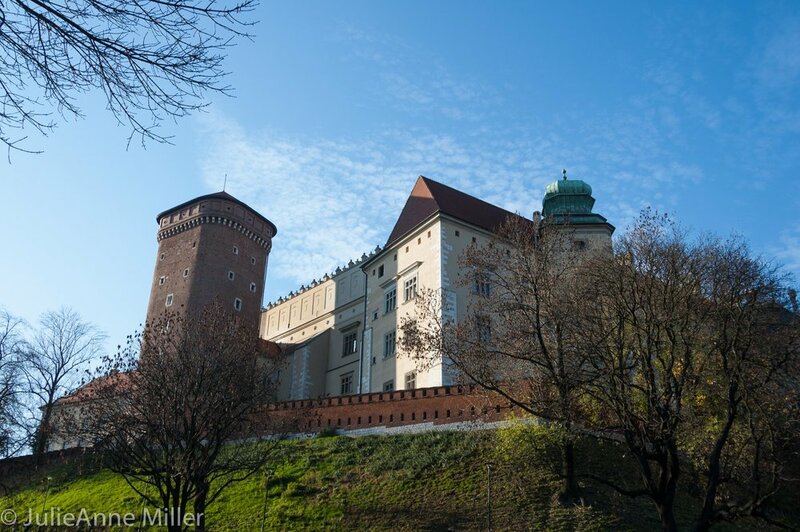 The tour did not include entrance into Wawel Castle and while our tour guide did a phenomenal job of explaining its history and describing what lies behind the walls, the prospect of exploring the castle fully in the future will lure me back to Krakow. 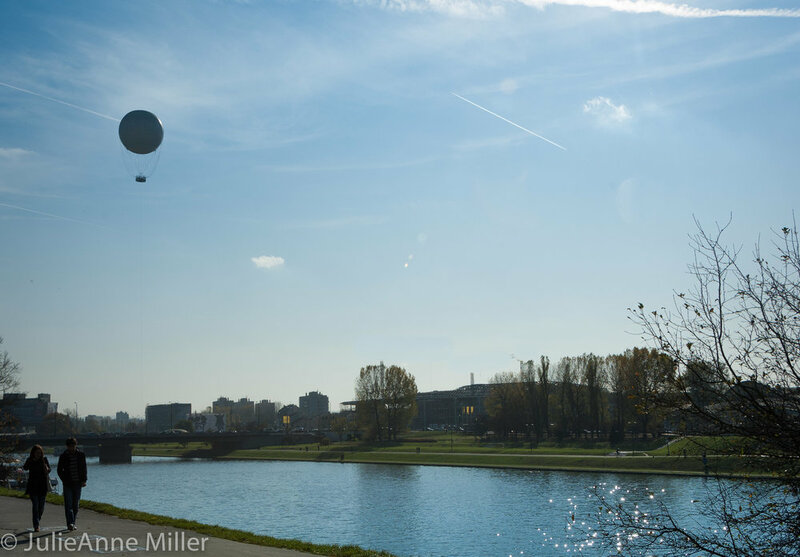 The promenade along the Wisla River bustles with activity and exercise. 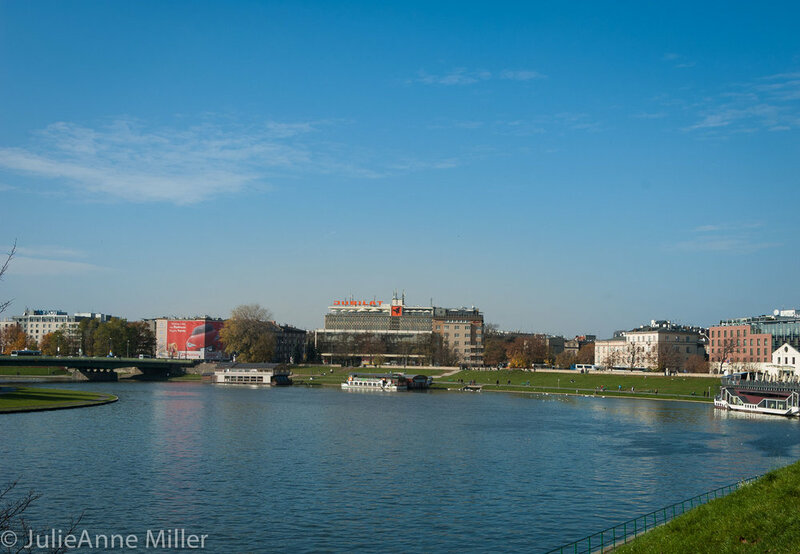 We biked along the promenade to Kazimierz, the Jewish district currently undergoing a major rejuvenation. We stopped at Plac Nowy for a zapiekanki (long, loaded pizza bread) and visited the site of Schindler's factory. While Krakow’s architecture remained unharmed by the Nazi’s, the same cannot be said of the 65,000 Jews who lived in Krakow in 1939. Persecution started as soon as the Nazi’s occupied the city, with civil rights restrictions quickly escalating to resettlement. In early 1941, the district of Podgorze was declared the Jewish Housing District and 18,000 Jews were forced into a ghetto consisting of just 320 one- and two-story buildings. Plac Zgody (Concord Square, also known as Ghetto Heroes Square), with its 33 cold cast-iron chairs, commemorates the tragedy that befell these Polish Jews. In the silence of the park, you can imagine the fear, outrage, and utter desperation of the Jews who were forced at gunpoint to leave behind all their belongings, cram into these gated ghettos, only to ultimately face death camps months or years later. At the end of the war, scarcely 5,000 Jews remained in Krakow. Our cycling tour took us to several "must see" sites in Krakow, including St. Francis Basilica, home of the famous stained glass window by Polish artist Stanislaw Wyspianski titled God in the Act of Creation. 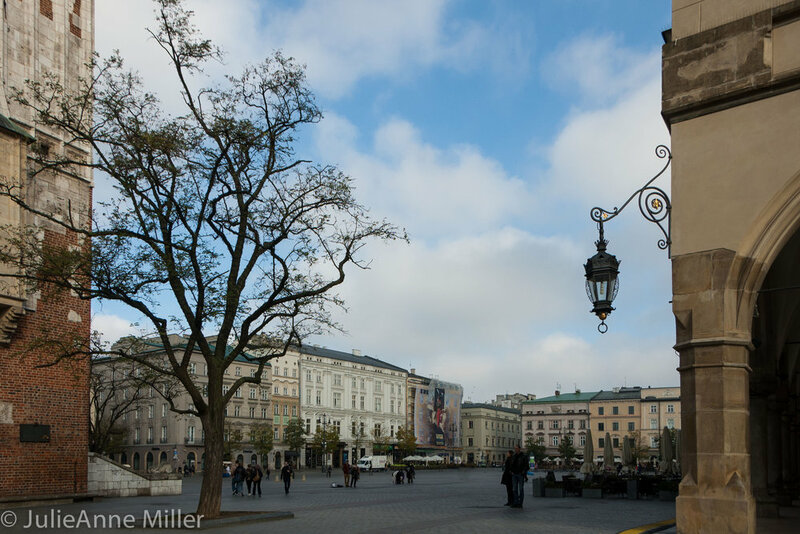 Two other noteworthy churches include Church of Peter and Paul and St. Stanislaw's church . Krakow is home to one of Europe's oldest universities, Collegium Maius, attended by the likes of Nicolas Copernicus and Pope John Paul II! Every two hours on the hour, the courtyard clock at Collegium Maius puts on a parade of royal figures. 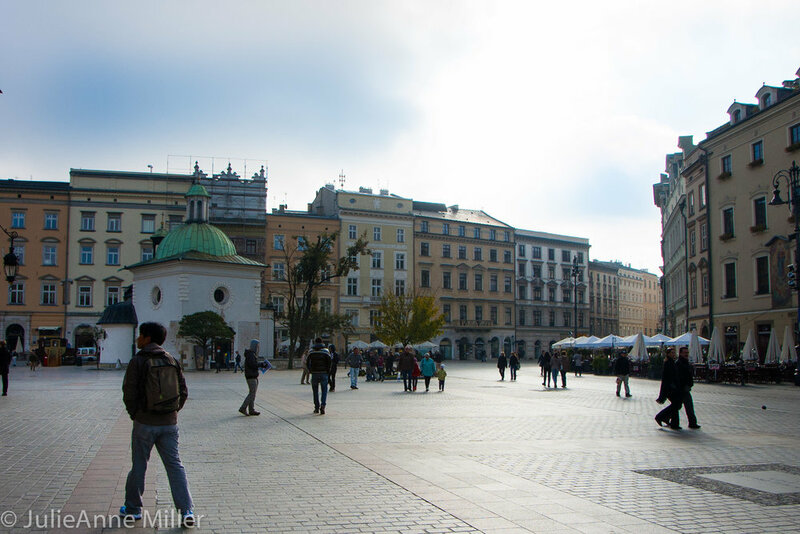 You never lose track of time in Krakow!